Communication is a two-way street; our approach and tools keep traffic moving. At Fastspot, we take an enormous amount of pride in our ability to effectively communicate and collaborate with our clients. To me, it's the single most important factor in ensuring a project's success. Some of the projects that we work on are large, complex redesigns that may last nine or ten months. Others are shorter, but intense, with a series of short deadlines over just a few months. In either case, communications roadblocks and miscues may arise. It’s only human. Effective communication is what helps our Project Managers keep the train on the tracks. We steer communication through a number of different tools and methods dependent on the message we're delivering, the situation, the urgency, the team members who need to be notified, and other factors. We employ several tools and tactics designed to give our clients access to our entire team throughout the course of a project and to facilitate meaningful conversations. Phone. 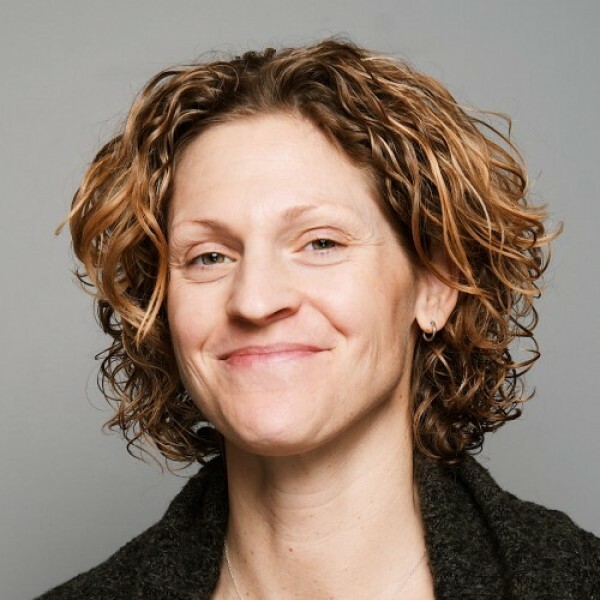 There’s a reason that every Project Manager at Fastspot has a door she can close. We’re on the phone with our clients all day long. A regularly scheduled weekly phone call is included in every project schedule, and that’s a schedule we’re determined to stick to. Even if it's just a five minute check-in, it’s foundational to our client relationships. And we’re not limited to just a weekly call, either. We're always ready to pick up the phone. Zoom. While we’d often like to be sitting around a conference room table ironing out details of a functional requirement or brainstorming about design, it’s not always possible. We’re happy to fire up a video conference so that we can say hello or present a deliverable “face to face.” You’d be surprised at what a difference it makes to be able to see the smile or nod that goes along with an idea or a piece of feedback. Basecamp. Basecamp is the project management platform that keeps all deliverable details and to-do lists in one tidy (my favorite!) place. We love that repositories for message boards, to-do lists, documents and files, and schedules make it customizable to our clients’ needs. We can choose what we need and don’t need for each project. It’s also ideal for setting expectations, posting deliverables, and approvals. Slack. We utilize Slack in tandem with Basecamp as a more immediate, more informal place to answer quick questions, reschedule calls at the last minute, and sometimes, to provide much-needed comic relief. 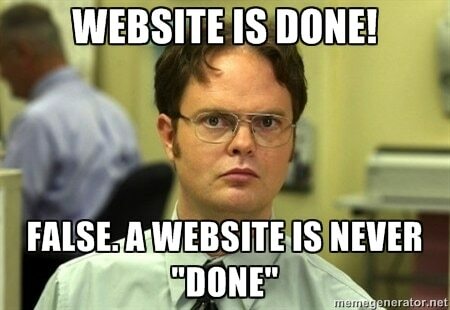 Dwight's right, your website is never done. As with every other part of a project that spans many teams, departments, and months – it’s important to have clear expectations for the usage of these tools. For example, we’re explicit with our clients that we can’t have deep and valuable information embedded in a Slack channel (it’s too easy to lose track of significant requests and decisions) and that feedback pertinent to revising a deliverable, for example, should be posted in Basecamp. Guidelines like these help to ensure that communication is flowing easily and effectively throughout the project. We understand and respect that different modes of communication work more effectively for different people, different teams, and different situations, and we’re always ready to accommodate these needs to the best of our ability. Have long, intricate feedback on a concept? Attach an annotated document in Basecamp. Discovered a problem within the site? Call us up. Want to celebrate a small success? Send us a .gif through Slack. Once we’re engaged with a client, we consider ourselves to be an extension of the client's team. We may not all be in the same location, but we want that spirit to carry through all the work that we do. Communication is the key to successful collaboration–it’s the thing that carries us through difficult patches and makes good ideas even better. It’s our job to work with each client to make sure that we’re never more than a call/Zoom/message/emoji away.